Kathleen Bailie, SPAR Inland Advertising Manager, said they are very proud to be associated with organizations who give hope to communities. The Dudu Zwane Home is a non-profit organization situated in Malverne, Johannesburg. The organisation takes care of people who are infected and affected by HIV/Aids. They also provide services such as washing, feeding and monitoring medication for patients. The establishment features a soup kitchen, social development services, counselling and support groups. 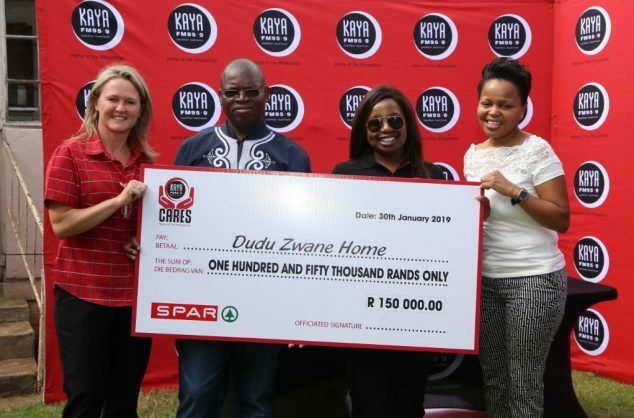 The Dudu Zwane Home is proud of its community outreach programme that aims to educate the community and create awareness around the deadly disease.